Washington: The head of a federal commission who has helped US states protect election systems from possible cyber attacks by Russia or others is being replaced at the behest of Republican House of Representatives Speaker Paul Ryan and the White House. 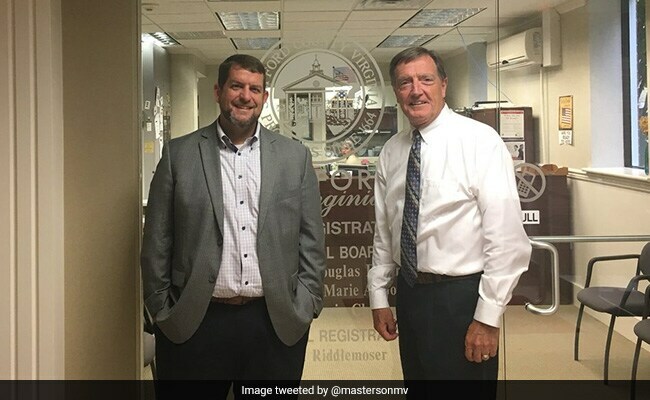 Matthew Masterson, a member of the US Election Assistance Commission who currently serves as its chairman, has been passed over for a second four-year term as one of the agency's four commissioners. US voters in November will go to the polls in midterm elections, which American intelligence officials have warned could be targeted by Russia or others seeking to disrupt the process. There is intense scrutiny of the security of US election systems after a 2016 presidential race in which Russia interfered, according to American intelligence agencies, to try to help Trump win with presidency. Trump in the past has been publicly skeptical about Russian election meddling. Masterson originally was picked by former Speaker John Boehner, a Republican and fellow Ohioan, and nominated by former President Barack Obama, a Democrat, before being confirmed unanimously by the US Senate in 2014. Masterson has spent the last year as the commission's chairman, focusing largely on election cyber security, state election officials said. Twenty-one states experienced probing of their systems by Russian hackers during the 2016 election, according to US officials. Though a small number of networks were compromised, voting machines were not directly affected and there remains no evidence any vote was altered, according to US officials and security experts. The commission was formed in the aftermath of the 2000 US presidential election won by Republican George W. Bush that came down to disputed paper ballots cast in Florida. Its responsibilities include maintaining voluntary guidelines for voting systems, including cyber security standards, that most states use when purchasing new voting equipment. US intelligence officials have described the targeting of state election systems as part of a wide-ranging effort by Moscow that also included propaganda efforts and hacking to sow discord during the 2016 campaign, boost Trump and disparage his Democratic rival, Hillary Clinton.